Since the White House’s announcement of the normalization of bilateral relations with Cuba in December 2014, the Obama administration has been accelerating a widely acclaimed “new course on Cuba.” On March 20, President Obama and the first lady began their historic visit to Cuba. It is the first time a sitting president and first lady of the United States have visited Cuba in nearly 90 years. The Obama administration initiated its milestone trip by deepening a series of bilateral ties between the two nations. On March 15, another important step toward stabilizing relations had been taken by the White House. On that day the Treasury Department’s Office of Foreign Assets Control (OFAC) and the Commerce Department’s Bureau of Industry and Security (BIS) announced their intentions to further reduce the sanctions against Cuba. Some of these changes have taken place since this announcement. U.S. citizens are now allowed, both individually and in groups, to travel to Cuba as long as their visits are educational in nature with full-time schedules under the auspices of bona fide organizations and records are kept. The purpose of such visits must be either to “enhance contact with the Cuban people, support civil society in Cuba, or promote the Cuban people’s independence from Cuban authorities.” Despite this, U.S. citizens still may not legally travel to Cuba solely for tourist purposes. This change makes it legal for Cuban nationals temporarily living in the United States to open bank accounts, receive salaries through such accounts, and send funds back to Cuba. Cuban athletes, artists and performers are among the Cuban nationals who have acquired funds due to authorized pursuits. The Cuban government will also be allowed to have its transactions go through the U.S. banking system. The Council on Hemispheric Affairs press release published on February 25, 2015, revealed contrasting reactions by members of the U.S. Congress and Cuban authorities, as well as friends and foes of the nationals of the two countries. Members of Congress who have the authority to determine whether to lift the embargo insist on refusing to negotiate with the Castro government, which shows no signs of abandoning its oppressive structures. Republican presidential candidate Ted Cruz, who has a Cuban background, has denounced Obama’s foreign policy on Cuba frequently. President Castro also expressed his government’s interest in pressing the U.S. Congress to lift the U.S. embargo and in campaigning for the United States to return Guantanamo to Cuba. Washington would make a tragic mistake if it misinterprets Havana’s interest in a thaw by demanding too much and too soon. The changes, delivered and called for, reflect presidential intent, but not necessarily the eager consent of Congress, which is key for progress in the present dialogue between the two nations. Congress criticizes Cuban human rights violations in opposition to normalization of relations. But as a COHA research fellow wrote in a statement posted on July 29, 2015, if “a clean human rights record and American democratic values were the standard for normalized diplomatic relations with other countries, then the United States would be at a loss for friends in most regions of the world,” including Bahrain, Egypt, Vietnam, and China, Saudi Arabia, Honduras, Guatemala, Mexico, Nicaragua and a host of other countries. The fact should not be disregarded that the population of Cuban-Americans who oppose better relations between the United States and Cuba is diminishing in size. Fifty-one percent of them rejoice in Obama’s approach to Cuban relations, yet it is true that others feel betrayed or neglected, especially among older generations of exiles. 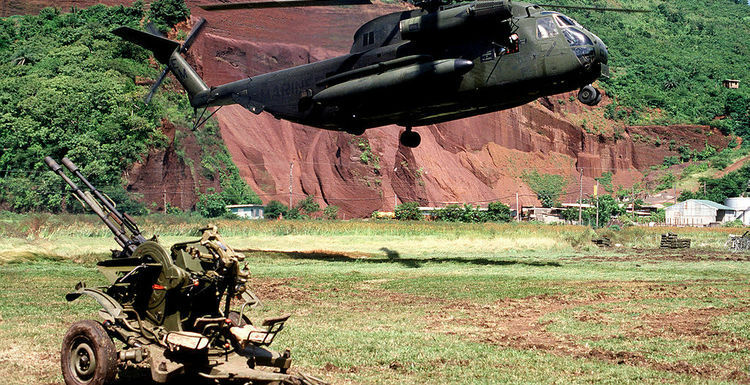 Total normalization is challenging for the two neighboring countries, which have profound differences to reconcile: the United States desires to implement its brand of democracy and human rights in Cuba, whereas Cuba considers these areas as internal matters and asserts that any intrusion into its domestic system would be a violation of its sovereignty. Patient dialogue will be key. Cuban Foreign Minister Bruno Rodriguez gave President Obama notice that his speech scheduled to be delivered to Cuban people on the last day of his visit should not be intended to circumvent the Cuban government by lobbying Cubans directly, lest it not be warmly received; his press conference took place on March 17, three days prior to the presidential visit. The attitudes of the Cuban populace are not as cohesive. Although the average Cuban may despise Castro, many take pride in the manner in which the regime has stood up to the White House. Washington’s easing tourism flights to Cuba and lifting the travel ban to Cuba is a win-win outcome for islanders, except for those without easy access to dollars. There is already no doubt that Cuba will soon come to dominate Caribbean tourism, and the lifting of restrictions will render it no longer necessary for Cubans to make a difficult choices between Cuba and the United States. President Obama and his family arrived in Cuba on the afternoon of Sunday, March 20. That day he visited the cathedral to demonstrate his understanding of the importance of the Catholic Church’s role in Cuban society. On Monday, he attended an event about entrepreneurship and businesses between United States and Cuba. Today, March 22, he was to give a speech to Cubans dwelling on the island as well as Cuban-Americans living in the United States. He was then to interact with a number of Cuban groups by meeting civil society leaders and then attend a game between the Tampa Rays and Cuba’s national baseball team. 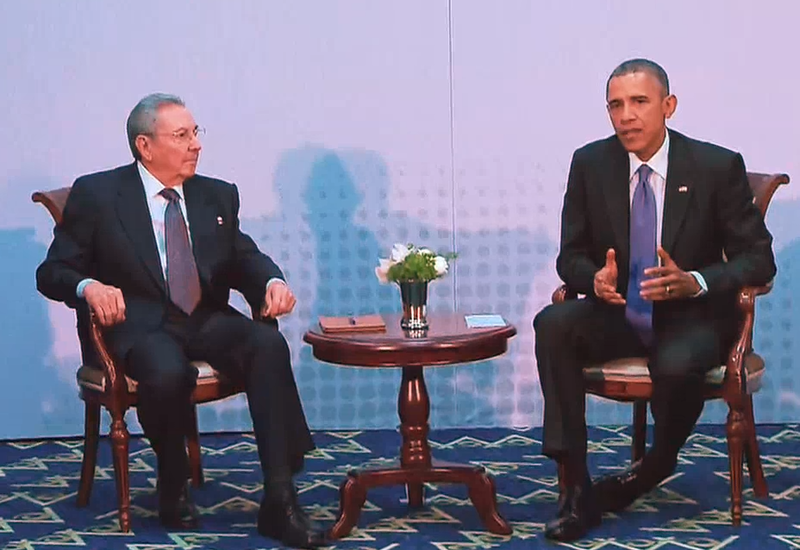 Feature image: President Obama Meets with President Castro. Taken from Wikimedia. Chastain, Bill. “Rays, Obama Set for Cuba Visit on March 22.” Major League Baseball. http://m.mlb.com/news/article/165876704/rays-obama-set-for-cuba-visit-on-march-22. Accessed March 21, 2016. “Commerce and Treasury Announce Significant Amendments to the Cuba Sanctions Regulations Ahead of President Obama’s Historic Trip to Cuba.” Department of Commerce. March 15, 2016. https://www.commerce.gov/news/press-releases/2016/03/commerce-and-treasury-announce-significant-amendments-cuba-sanctions. Accessed March 21, 2016. Cores, Richard. “United States Embassy in Havana, Cuba: A Vital Step Toward a New Path of Engagement.” COHA. July 29, 2015. http://www.coha.org/united-states-embassy-in-havana-cuba-a-vital-step-toward-a-new-path-of-engagement/. Accessed March 21, 2016. 智之, 川合. “米、キュㅡバ経済制裁を一部解除　オバマ大統領の訪問控え.” ：日本経済新聞. March 16, 2016. http://www.nikkei.com/article/DGXLZO98488290W6A310C1FF2000/. Accessed March 21, 2016. CAPUTO, MARC, and JOEY FLECHAS. 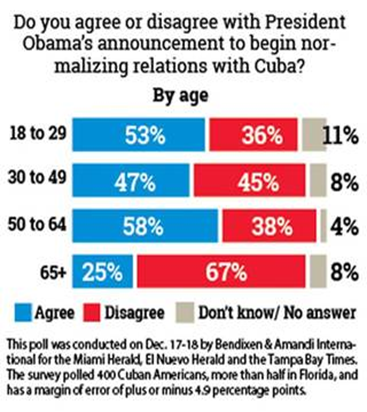 “Poll: Cuban-Americans Split on Obama’s Cuba Policy.” Miamiherald. December 19, 2014. http://www.miamiherald.com/news/local/community/miami-dade/article4701411.html. Accessed March 21, 2016. Whitefield, MIMI. “U.S.-Cuba Relations: Plenty to Work on in 2016.” Miamiherald. January 6, 2016. http://www.miamiherald.com/news/nation-world/world/americas/cuba/article53901410.html. Accessed March 21, 2016. ACN. “Anuncian Nuevas Medidas Parciales Del Gobierno De Obama Hacia Cuba.” Granma. March 15, 2016. http://www.granma.cu/mundo/2016-03-15/anuncian-nuevas-medidas-parciales-del-gobierno-de-obama-hacia-cuba-15-03-2016-18-03-59. Accessed March 21, 2016. Granma. “Press Conference by Cuban Foreign Minister – Live.” Granma. March 17, 2016. http://en.granma.cu/cuba/2016-03-17/press-conference-by-cuban-foreign-minister-live. Accessed March 21, 2016. “Press Call to Preview the President’s Travel to Cuba and Argentina.” The White House. March 16, 2016. https://www.whitehouse.gov/the-press-office/2016/03/16/press-call-preview-presidents-travel-cuba-and-argentina. Accessed March 21, 2016.